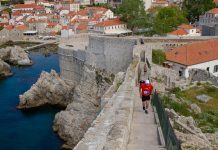 Home Stories Stefan Hofbauer: continental Croatia is amazing! 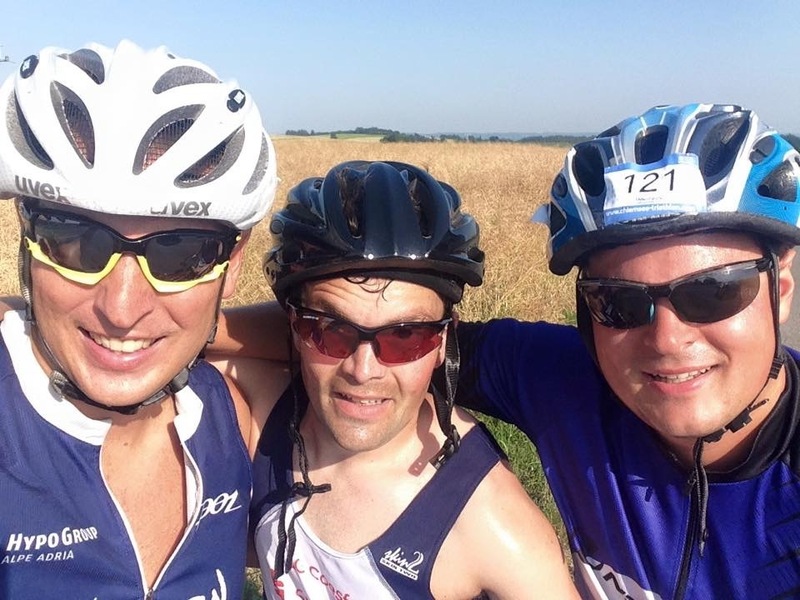 AiC got together with Stefan Hofbauer, a triathlete and a runner from Vienna. 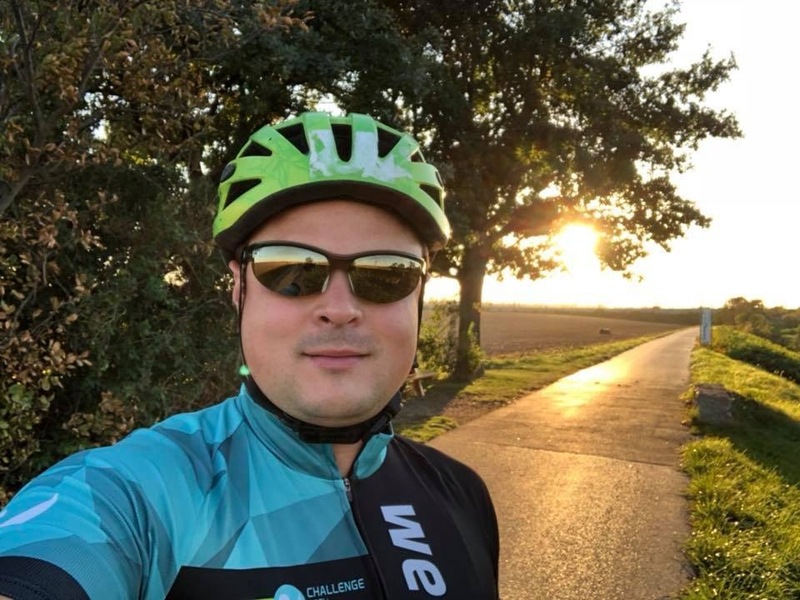 We got to hear how Stefan is satisfying his love for competition, being outdoors, and making new friends by being active in Croatia. Stefan, you live and work in Vienna, but you spend a lot of your free time in Croatia. How come? It all started in 2011 when I came to the island of Brač for a vacation. This was my first time in Croatia. I came with my wife as she has already been there – and loved it. We enjoy it very much there and we keep returning for our summer vacations, even today. However, we wanted to discover inland as well. In 2013, we decided to book a short wellness trip to the Zagorje region, just north of the capital, Zagreb. We enjoyed thermal springs and lush green nature so much that we decided to buy a vacation home there in 2016. Now, we come to our vacation home every couple of weeks and still spend our summer vacations on Brač. So yes, we spend a lot of time in Croatia and love it here. The sea and the islands are the obvious choice that everybody is familiar with. The sea is crystal clear, people are friendly, and the food is great. But the continental part of the country is equally beautiful. There are amazing thermal springs with wellness centers. Green rolling hills around our vacation home are so peaceful and quiet. They make a perfect setting for a relaxing weekend getaway. As a triathlete, we guess that you are not only interested in relaxing, but also in training? Yes, I am very goal-oriented and when I set my mind on something, I do my best to be optimally prepared in order to achieve it. There are many advantages in Croatia that I can use in my training. The terrain around my vacation house in Zagorje is hilly, but not mountainous. This is ideal to keep my long rides interesting. There are a lot of quiet roads with little traffic and there is always a small village on top of each hill that I can explore. Also, there are nice pools nearby for swimming, in the Aquavivae welness center or in the Tuhelj spa. And for running, you can choose between flat or hilly terrain, forests or meadows, asphalt or trail. Basically, every combination a runner can think of – you can find it there. With such good and varied possibilities for training, which events did you prepare for since you started coming to Croatia regularly? 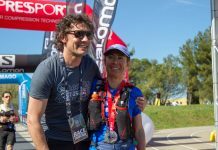 I prepared five full distance triathlons, along with several half distance triathlons and several marathons, including the Munich, Vienna, and Zagreb Marathons. 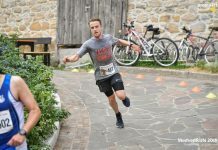 I am proud of my PB of 11:49, which I achieved in the Challenge Roth full distance triathlon in 2017, and of my marathon PB of 3:40, which I achieved in the Munich Marathon. I look at triathlon and running as a way to clear my head, relax, and stay fit. That is why I am proud of these results – they are nothing special compared to really fast guys, but each of them is a great achievement for me. Setting an ambitious goal when you are starting almost from zero and achieving it is a real thrill. How did you start running and competing? As most things in life, it was almost an accident. 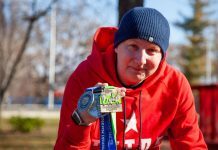 About ten years ago, a runner got sick in a marathon relay team. They invited me to join them and I ran my leg of 11 kilometers after doing a grand total of two training runs. I liked it a lot and continued running. I got a coach, continued improving, and two years later I was on the starting line of a full marathon. 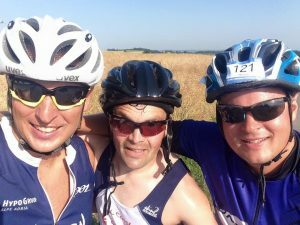 After completing my first marathon, my brother got me hooked on triathlon. After learning how to swim, and after another couple of years of training, I finished my first full distance triathlon. You did some races in Croatia too. You mentioned the Zagreb marathon, but where there some other races as well? 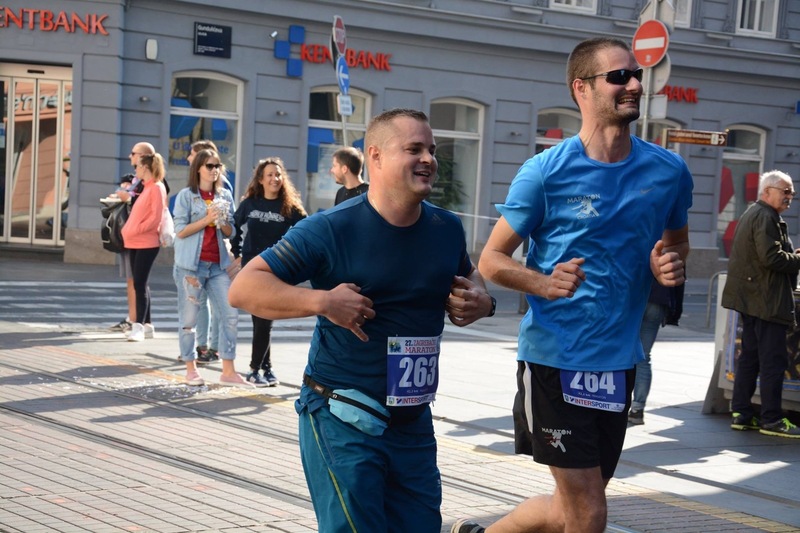 Yes, the Zagreb Marathon was nice. Mid-autumn is a great time for a big city marathon. 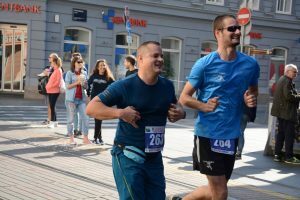 The start in the very center of the city is impressive and it felt great running along famous sights, such as Maksimir and Ilica Street. But there are so many great events besides the Zagreb marathon. For example, I took part in the GRAWE Night Marathon in Zagreb. It is famously lit by torches and it takes the runners along a river bank, which makes for a unique experience. Plus, it is a great way to run a marathon in the heat of August. By vacationing in Brač, I had the great opportunity of experiencing the races there. I took part in a triathlon and a running race. 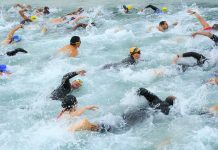 The triathlon in Pučišća was memorable for the swim leg that took place in crystal clear waters. Also, the level of competition was really good, so it was a real test of my fitness. The Kalathon in Milna race was fun. It started in the evening, but it was still hot nonetheless. The race course took runners up ancient stairways and that was a very special experience. 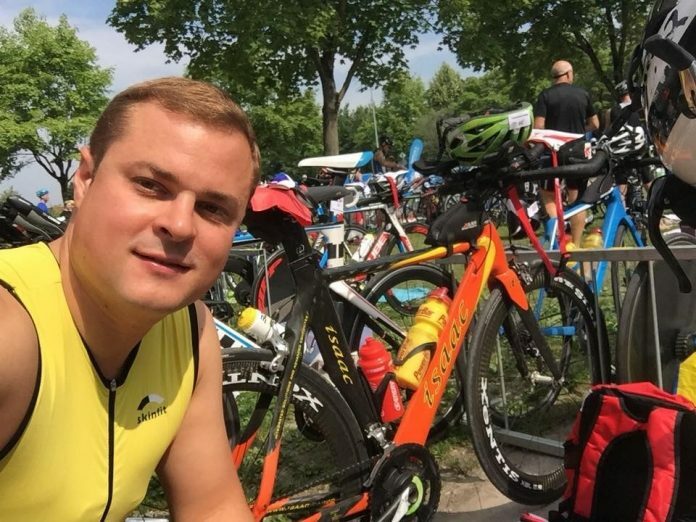 I also participated in a number of smaller races, a cross run on Jarun Lake in Zagreb, a cycling granfondo in Karlovac, and I also took a number of guided tours around Zagreb and the Slavonia region. Brač is your summer base? I have many fond memories from there. I once met a local cyclist who was very fit and very friendly. He gave me several ideas for training routes and sights to explore by bike. Now, he is planning to cycle from Brač to Vienna and I hope to return the favor when he visits Austria. This is not the only Croatian friend you’ve made? No, absolutely not! I met a great group of runners in the TK Maraton Krapina club, of which I am now a member too. 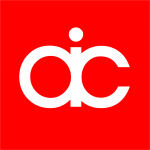 It is very easy to find training company. I use Facebook groups and talk to people that are in cycling and running clubs to find organized runs and rides. The vast majority of fellow athletes are very warm and welcoming to newcomers. It is also a good idea to ask for organized rides in a local bike shop. I got a great amount of help from the K1 bike shop in Krapinske Toplice. And as Maribor is close by, I used the services of Dejan Vračič’s Bike Fitting Lab and Alen Šumandi’s Premium Workshop for servicing my mountain bikes. Can you share with us your plans for the future, regarding endurance sports? I have many plans for the future. However, I have a young family so there are some that are postponed until I find more free time. I am not planning any full distance triathlons soon. But I plan on doing at least one half-distance race per year to stay in shape. 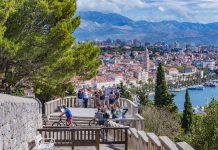 I am interested in the Ironman 70.3 Slovenian Istria triathlon and in the Falkensteiner Punta Skala half distance triathlon near Zadar. There is still so much of Croatia left to explore. 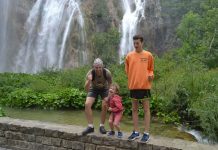 Island Krk, national parks Krka and Plitvice, Istria… It is easy to plan a family vacation around something that interests each of us, regardless of age or affinity to be active during vacation. In the end, my dream is to share my discovery of the Zagorje region with other athletes. It has so much to offer and it is a shame that more people don’t know about it. But I still haven’t decided what is the best way to do this, whether through a race, a club, or some other way. We wish Stefan lots of happy kilometers in training and racing!